Tim Cronrath and State Farm will donate $10 to the Majestic Theater if you call for an insurance quote and mention us!!! Or just call him at: 570.622.1515 and ask for a quote! and choosing Majestic Theater Association of Pottsville! NOTE: The Actor's Guild of Schuylkill County (AGOSC) has taken up residence at the Majestic Theater once again! Or by calling the Brown Paper Tickets call center at: 1-800-838-3006.
in recognition of Autism Awareness Month. Join us for this special opportunity for individuals living with Autism or other special needs and their families to enjoy a movie theater experience in a safe and accepting environment. We will provide a comfortable setting with the lights turned up and the sound turned down slightly. Everyone is welcome to get up and dance, walk, shout or sing! 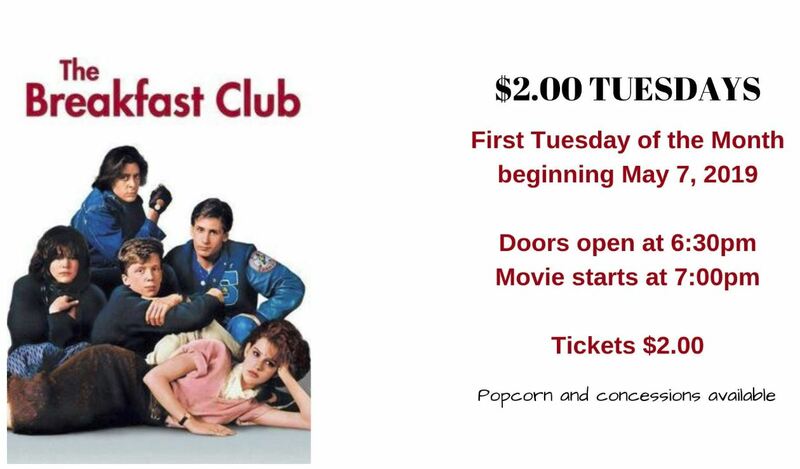 Doors open at 6:00pm and the movie begins at 6:30pm. THEATRE JUNCTION supports the Pottsville Free Public Library!!! Two Venues!!! Multiple days and times!!!! 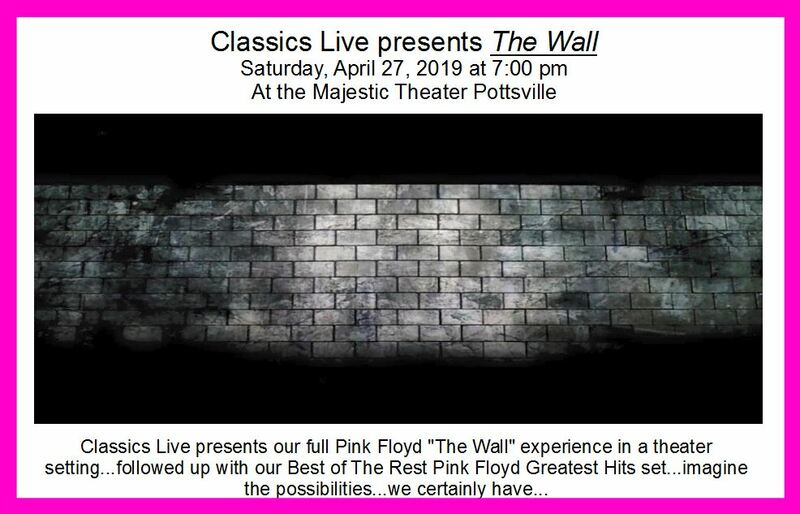 Coming to the Majestic Theater Pottsville!!!!! That's right! TWO WEEKENDS worth of SPAMALOT!!!! Two week summer camp for children ages 5-16 interested in the performance or technical aspects of theater production. 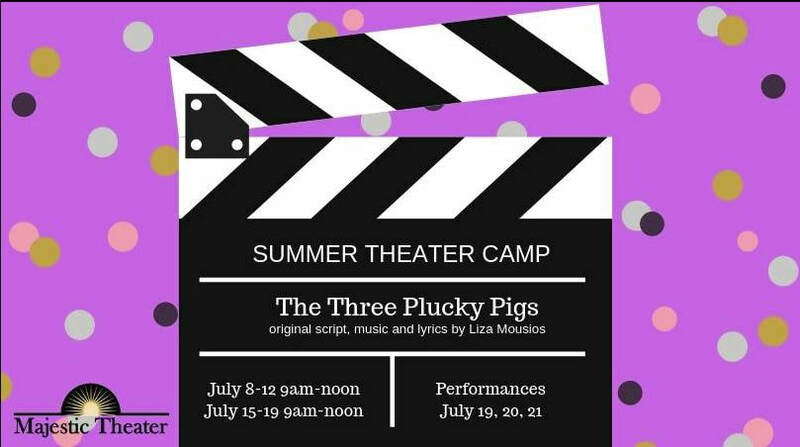 This year's camp is based on an original play, with original music and lyrics, based on the story of the three little pigs. Technical direction by Joe Ciarvella, Stage Management by Amy Babcock. Camp runs for two weeks ending in performances on Friday, Saturday and Sunday. Fee will be $175.00, which includes script, snacks, costuming, cast party and two tickets to the performance. There is a discount for multiple siblings. 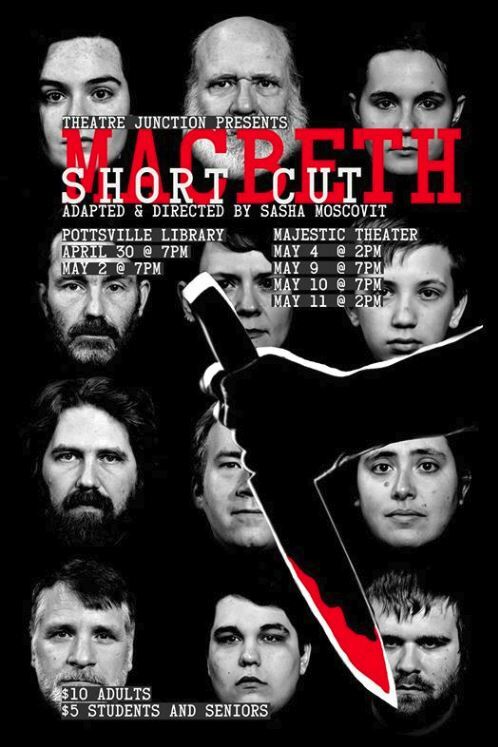 For registration form, please email majestictheaterpottsville@gmail.com. Theater rentals are available for free entry events or private parties only. Rentals are $225 per 3 hours, $75 per hour after that; price includes technician and cleanup. Ticketed events receive 50% of net proceeds (minus $100 non-refundable deposit) for productions at the Majestic Theater.